You can control WHEN you receive the updates. The quality of the hyper alert emails is excellent, complete with comments so you get the context. So don’t go and delete your Hyper Alerts just yet, it’s still the best tool for the job. If you want to learn more about Hyper Alerts check out my recent post Monitor any Facebook Page for Posts, Comments and Content. 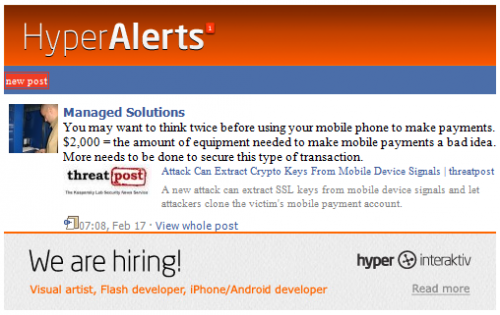 So what do you think, will you still use Hyperalerts for Facebook Pages or is Facebook alerts enough for you? I wrote the above post on 2/10/2011 and scheduled it for 2/14 before receiving an Email from Hyper Alerts detailing why they feel Hyper Alerts is still a better option. After receiving the Email I did a minor investigation to see if I could find someone at the company to chat with. I went to their site and it was in Norwegian, but I did recognize “Kontakt” so I clicked through and found an Email address. After sending an Email I got a Skype connection from Are (pronounced Ari) Sundnes. Within minutes (and being the wee hours of the morning his time) Are agreed to chat with me about Hyperalerts. 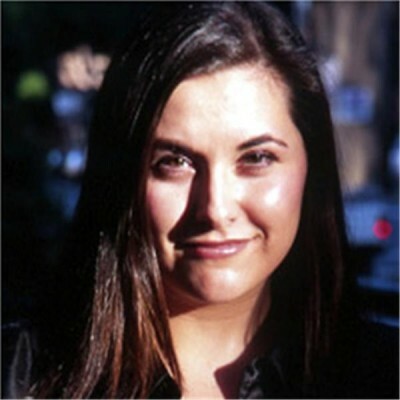 Are Sundnes is a concept designer and programmer for Hyper Interaktiv. His company does creative advertising and development. They have 24 employees and as a small company many of them multi-task. Are is just one of those people, you see while being a digital artist by trade he actually programmed the Hyper Alerts system mostly by himself in response to needs they some of their clients had. It would be just our luck as I am very impressed with what they’ve done and I suspect there will be more to come in the future. Are would not give me any specifics but he did tell me they have lots of plans for Hyper Alerts and that they are in the process of prioritizing them. I also learned that the proliferation of their Hyper Alerts service has been completely organic. They have done zero marketing in fact due to the strong response they are working on a English language version of their website as you are reading this.